Completed in the fall of 2017, the new Hudl International Headquarters is a $35 million, 7-story, Class A office building consisting of 170,000 square feet. 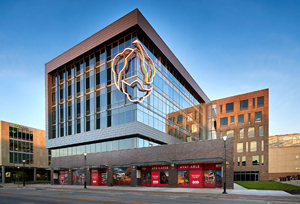 The project was developed by a partnership consisting of Speedway Properties, WRK, LLC, Nelnet, and Chief Industries and continues the redevelopment of Lincoln's West Haymarket, a former railyard area that has seen a dramatic transformation over the last several years. Hudl, a Lincoln-based video sports software company, occupies the top four floors of the building and Nelnet occupies the 2nd floor. The 3rd floor will have suites available for lease by smaller office tenants and the ground floor will be retail space. This building was designed to showcase Hudl’s dynamic culture and features many unique amenities including a partially enclosed seventh floor offering a company cafeteria, game room, rooftop patio, green space and amazing views of Lincoln’s downtown. 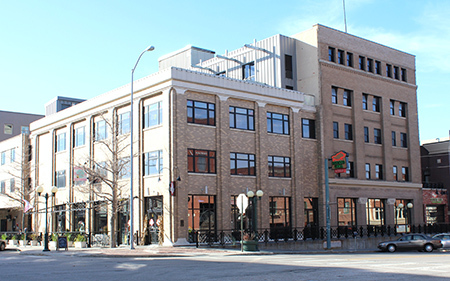 Speedway Properties finished the redevelopment of the former Tool House complex in the Historic Haymarket in the Fall of 2015. The corner building is one of the oldest in the Haymarket, dating back to 1887. Originally constructed as a bakery for the production of biscuits and crackers, it became a hardware store in 1905 and remained so until 2008. The project includes commercial space at street level for retail and restaurant users with outdoor patio seating, new awnings, and a garden level space on the west side of the corner building. Two floors were added to both buildings along with an infill building to connect the buildings together. The new 4th & 5th floors along with the original 2nd & 3rd floors of both buildings include 68 loft apartments with an attached walkway to the adjacent Haymarket Parking Garage. 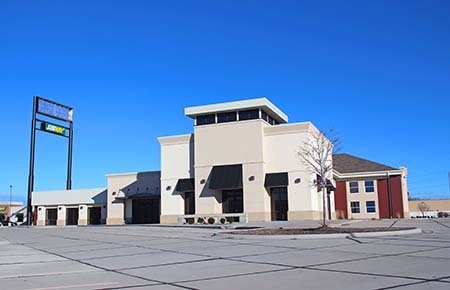 Speedway Properties redeveloped of this former hotel site at the I-80 and Cornhusker Hwy interchange near the Lincoln Airport. The former hotel had fallen into disrepair and much of it was demolished. What remains of the building is the former banquet room, reception area, restaurant, and bar. Those areas have been renovated into flex space for office and/or showroom tenants. In addition, Speedway completed a build-to-suit pad site for Subway on the north side of the property. There is also additional land along the south side of the property for future development. This project resulted in a significantly enhanced image for this interchange and it will be a welcoming improvement for travelers along I-80. In 2010, Speedway acquired the historic Sidles building at 1226 P Street which was originally built as an automotive showroom and at one time included the Buick and Cadillac brands. The ground floor was renovated and now includes two restaurant tenants. The upper floors were converted to small one and two bedroom loft apartments catering to young professionals. Borrowing from the building’s history, the apartments have been named the Cadillac Lofts. Amenities include a common laundry room and lounge, secured entry, high-speed internet, and a rooftop deck with an outdoor kitchen. 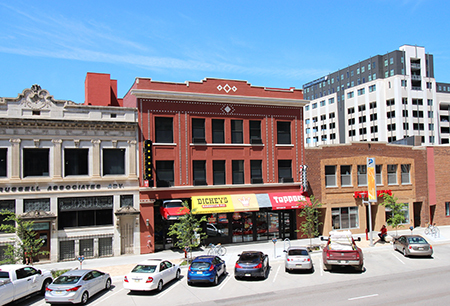 Located on P Street, downtown’s primary retail corridor, we believe this project has enhanced the area’s vibrancy and has contributed to the ongoing transformation of downtown Lincoln as an exciting place to live, work and play. This project involved the redevelopment of a four-building complex formerly occupied by the Salvation Army at the intersection of 8th & P Street. The oldest of these historic buildings is a five-story brick and wood timber warehouse which dates back to the early 1900’s and originally housed the Grainger Brothers wholesale fruit and grocery business. Speedway acquired the property in 2003 and has gradually redeveloped these buildings into an active office and retail complex. Retail tenants include Ichiban Sichuan restaurant, Scooter’s Coffee, KD Designs, McKinney’s Irish Pub, and Rodizio Brazilian Grill. The upper floors of the complex serve as an incubator for local start-up and growth-stage companies, providing them an opportunity to succeed and grow within the building. FUSE Co-working operates from the 2nd and 5th floors of the complex and provides an exciting, collaborative work environment for individuals and small companies within the local start-up ecosystem. 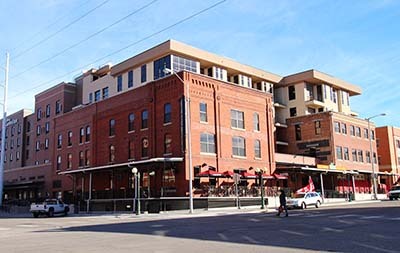 This project has greatly enhanced the energy and activity at this prime intersection in the Historic Haymarket.